Hide deals from seller "Frida Mexican Cuisine"
Limit 1 per person and 1 per table. Valid toward dinner menu item. Excludes beverages, desserts and Sunday buffet. New customers only. Promotional value expires 30 days after purchase. Treat Dad to an authentic Mexican meal with 50% off dinner at Frida Mexican Cuisine in East Chicago ($24 value). This Mexican restaurant’s plentiful menu focuses on traditional recipes from Durango, Mexico. 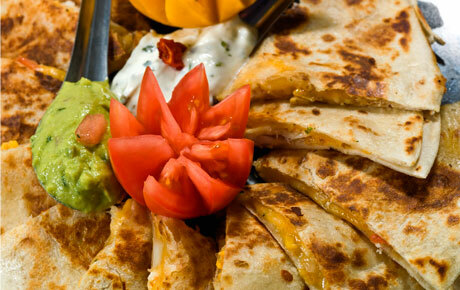 Frida Mexican Cuisine proudly serves authentic cuisine that is fresh and fulfilling. Titillate your tongue with rice and beans, hamburguesas, fajitas, burritos and handmade tortillas. Wash your meal down with delicious drinks like horchata or limonada. You can also put Dad up to a delicious challenge to finish the Giant 15-inch Duranguense burrito, or you can share the tasty delight as a family. Frida Mexican Cuisine displays their authenticity and love for tradition through their artwork in the décor as well as their mouthwatering meals. Sate Dad’s appetite with this Father’s Day deal. Traditional Mexican restaurant in East Chicago serving fresh, authentic cuisine.